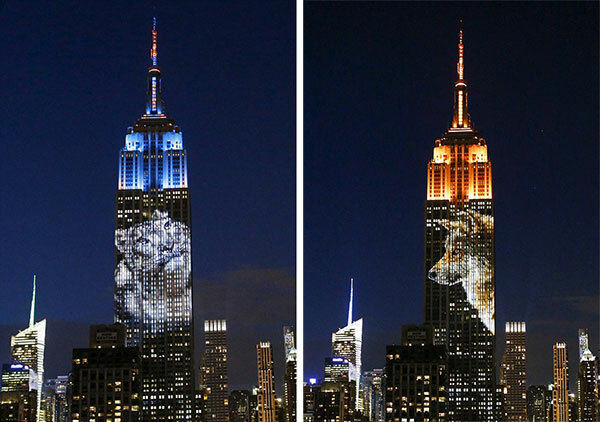 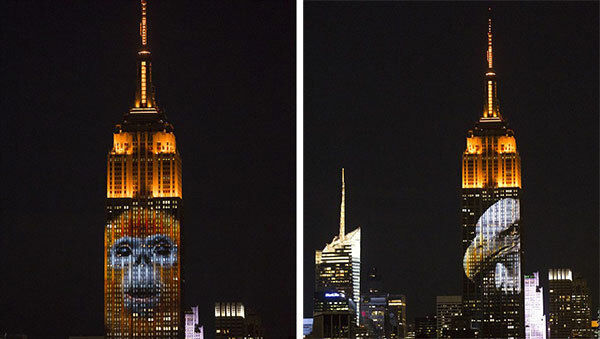 Organized as part of a promotion for a new Discovery Channel documentary entitled Racing Extinction, 160 species of endangered animals including birds, tigers, bears, and marine mammals were projected on the facade of the Empire State Building to highlight the plight of these animals. 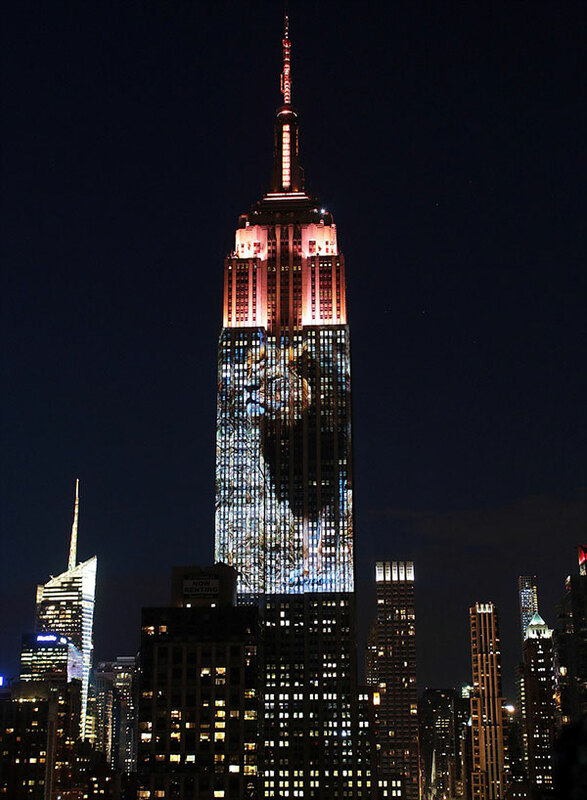 An image of Cecil, the famous lion killed in Zimbabwe earlier this month, also appeared. 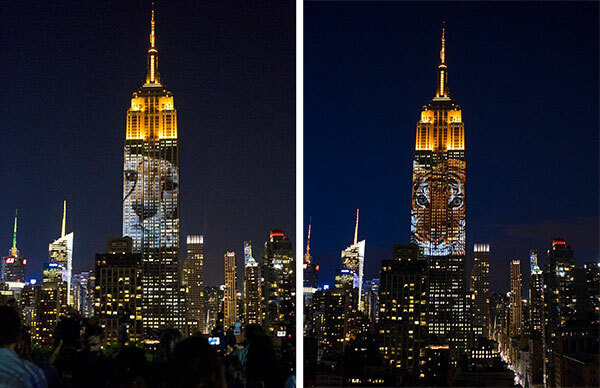 Up to 40 large projectors from a rooftop two blocks away were used to shine the striking images for three hours using 33 floors of the building.